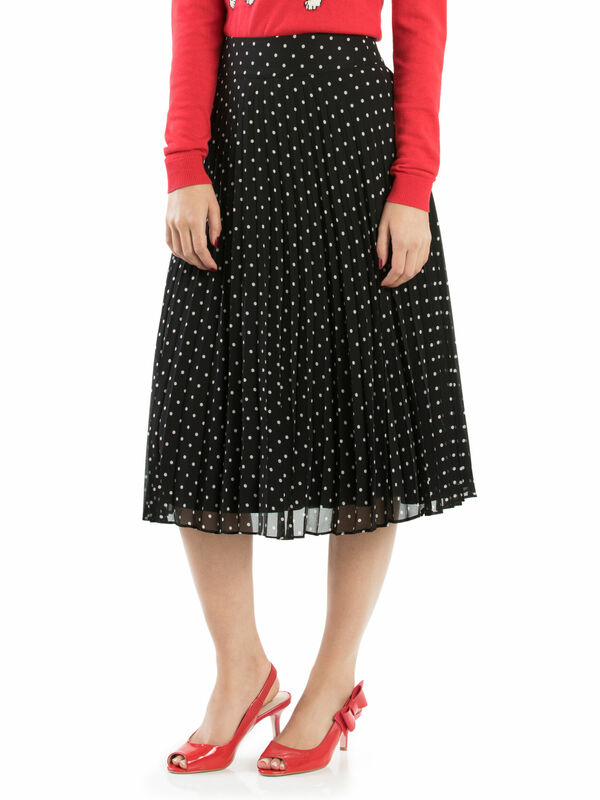 Beauty Spot Skirt https://www.review-australia.com/asia/beauty-spot-skirt-black/RE19SK133.REBLK009.html Spring into autumn with the Beauty Spot Skirt, a long, flowing pleated navy skirt, with cream polka-dots to enliven any outing. A silk lining ensures max comfort, while a hidden zipper on the reverse promises a graceful fit. Worn with Puppy Love Jumper and Brenda Heels. 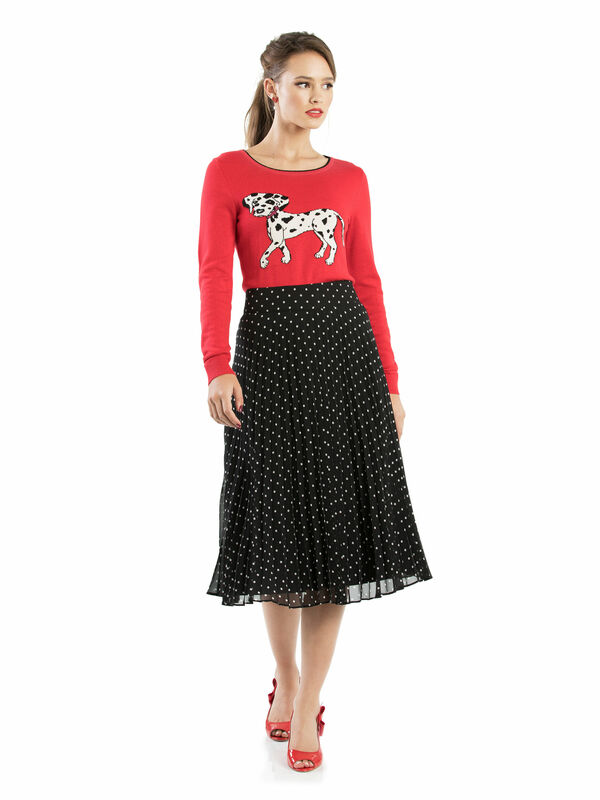 Spring into autumn with the Beauty Spot Skirt, a long, flowing pleated navy skirt, with cream polka-dots to enliven any outing. A silk lining ensures max comfort, while a hidden zipper on the reverse promises a graceful fit.